Congratulations to Bank Square Books, Mystic, Conn., which will open for business today at 11 a.m. Because of flooding during Hurricane Sandy, the floor was rebuilt--tile replacing a carpet--parts of walls were replaced and other changes were made, all at breakneck speed. "Books are on the shelves," the store said yesterday. "We may not be able to find everything, but thanks to all the help we had today, books are in the correct section. What an amazing effort!!" 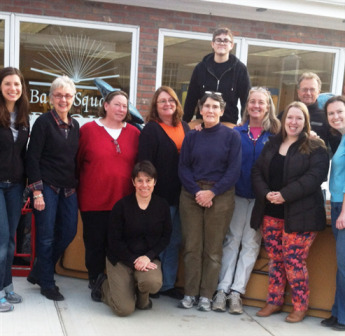 The shelvers yesterday included co-owners Annie Philbrick and Patience Banister (in picture, third and fourth from the r. in the front row) as well as New England Independent Booksellers Association executive director Steve Fischer and Suzanna Hermans of Oblong Books & Music, Rhinebeck, N.Y., among others. From 5-8 p.m. today, the store is celebrating its reopening with wine and beer and an appearance by local author Ann Leal, who contributed an essay to My Bookstore, published by Black Dog & Leventhal (more on the book below). In October, unit sales of books of some 500 ABA member stores increased at a double-digit rate over 2011, continuing 2012 trends, American Booksellers Association CEO Oren Teicher wrote to members in a letter in Bookselling This Week. Noting that "some parts of the country continue to face clear economic challenges," he added, "from a national perspective, our channel continues to demonstrate remarkable resiliency as we keep doing what we do best... connecting talented authors and interested readers." Next Saturday, November 24, the ABA's first multi-publisher promotion, Thanks for Shopping Indie, launches in conjunction with Small Business Saturday, which last year attracted 103 million people. More than 20 publishers have worked with the association to select 66 titles, all Indie Next List picks, for the promotion, that will be offered at an additional discount to booksellers. Teicher noted that many member bookstores reported an extremely busy kickoff to the holiday season last year on Small Business Saturday and hoped that the promotion "provides us a unique and very important opportunity to clearly demonstrate to the industry as a whole the singular importance of indie booksellers." The Kobo program has been introduced in many stores. "It's heartening to hear from stores that they have begun to sell eReaders and that their customers are opening new Kobo accounts via their websites," Teicher wrote. Partners ABA, Kobo and Ingram are available to help with questions and problems. The fall list is very strong. "The October and November Indie Next Lists were replete with wonderful titles, and the December list is trumpeting even more," Teicher wrote. "Our colleagues in the publishing community have provided us with a wide range of titles that are incredibly well suited for handselling, newsletter and catalog promotion, shout-outs on Facebook and Twitter, displays on the staff picks table, and much more." In mid-December, the ABA is moving to White Plains, N.Y., from Tarrytown. "We were able to sign a lease for new office space a few miles from our current office, and, in doing so, were able to realize a substantial savings in occupancy costs," Teicher said. Congratulations to R.A. Dickey, the New York Mets knuckleball pitcher who has won the Cy Young Award in the National League. 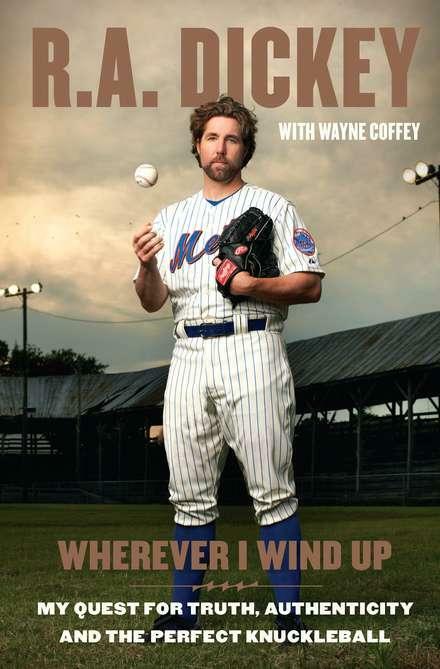 In a sport with literary affinities, Dickey is one of the most articulate and bookish players in the game: he was an English lit major at the University of Tennessee, is an avid reader and is the author with Wayne Coffey of an unusually candid, fresh autobiography, Wherever I Wind Up: My Quest for Truth, Authenticity and the Perfect Knuckleball (Blue Rider Press, $26.95, 9780399158155), published this past March. Dickey's baseball story is particularly compelling: he bounced around in the minor leagues for 14 years before perfecting the knuckleball. This season, on the hapless Mets and at age 38, he had 20-6 record and led the league in strikeouts, innings pitched, complete games and shutouts. He is the first knuckleballer to win the Cy Young. His personal story is also compelling: he grew up in an extremely dysfunctional household and was sexually abused as a child. His ability to cope with that background and with his longtime professional struggles is inspiring. Dickey may be at the top of his game in baseball but his writing career is just beginning: he recently signed a deal to write three children's books to be published by Dial, the first of which is an adaptation of his memoir, which will appear next fall, according to the New York Times. In 2014, Knuckleball Ned, the first of two picture books, will appear. 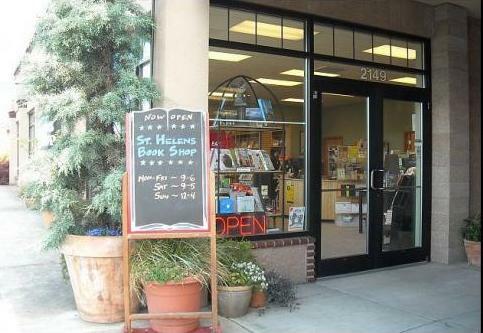 St. Helens Book Shop, St. Helens, Ore., is closing at the end of the month. In a letter, owner Lori Cardiff wrote that the store "responded to the economic slow-down by shrinking our floor plan, tightening our belt, and pushing through the elections and into the holidays, but unfortunately, given our daily sales, it just wasn't enough. I had hoped we could stay open through the holidays, but negotiations with the landlord have fallen through." She encouraged customers to do their Christmas shopping early. Tomorrow she is holding an open house. "I promise to bake Christmas Cookies, if you promise to buy books!!" she wrote. The website Books Make a Difference profiled Shelf Awareness, from our beginnings in the dawn of time--2005--right up to the introduction of Shelf Awareness for Readers. 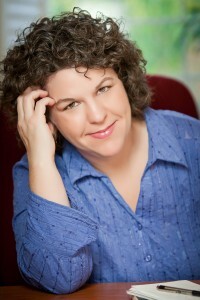 Publisher Jenn Risko noted that the twice-weekly publication helps readers find the best books published. "As more and more books are being published and more and more folks are self-publishing, consumers will find it exceedingly difficult to know who to trust when searching for their next book," she said. "I think the ultimate goal of Shelf for Readers is that readers have a long list of books they want to buy because of it, and they buy it at their local stores." E-book consumers are increasingly shifting to tablets from dedicated e-readers as their first choice for reading e-books, according to the fourth and final installment in Volume Three of the Book Industry Study Group's Consumer Attitudes Toward E-Book Reading Survey, powered by Bowker. In August, the Amazon Fire was cited by 17% of e-book consumers as their first choice for reading e-books, up from zero the previous August, while B&N's Nook has risen to 7% from 2%. Apple's iPad has remained at about 10%. Tablets thus now are the first choice for about a third of the e-reading public. At the same time, dedicated e-reading devices have slid in popularity in direct proportion to the growth of tablets. Some 38% of frequent readers--people who purchase e-books at least weekly--indicated that tablets are their primary e-reading device, compared to 19% a year earlier. Dedicated e-reading devices slipped to less than half from more than two-thirds a year earlier. The survey findings are available for sale both as a PDF Summary Report and as a complete data compendium, accessible online. A substantial discount is available for BISG members. For more information, go to bisg.org. Library e-book patrons buy an average of 3.2 books (both print and digital) a month and 53% would considering buying books discovered on a library website, according to an online poll of e-book readers conducted in June and July and sponsored by OverDrive with the American Library Association's Office for Information Technology Policy. Some 57% of respondents said that the public library is their primary source of book discovery. 44% said their e-book purchases have increased in the past six months. And 35% purchased a book (print or e-book) after borrowing a copy of it. Devices on which e-books borrowed by patrons of libraries were read included dedicated readers (84%); desktop or laptop PCs (20%); smartphones (19%); and tablets (18%). Mobile devices are increasingly popular for e-book reading. To see the full survey, go to OverDrive's Digital Library Blog. 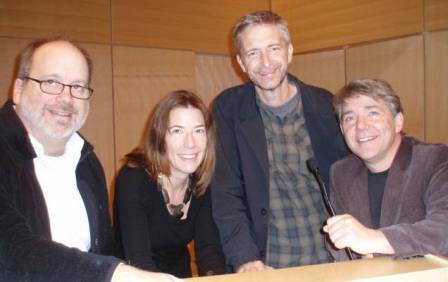 From Screen to Book: (l .to r.) Tony Fucile and Holly McGhee (aka Hallie Durand), collaborators on Mitchell's License; Scott Nash (The High Skies Adventures of Blue Jay the Pirate); and Peter Reynolds (Sky Color) discussed the fluidity of visual storytelling last Saturday at the Cambridge Public Library, in celebration of the 20th anniversary of Candlewick Press. The Washington Post has an update on Boonsboro, Md., aka "Noraville," the town that Nora Roberts and her family have revitalized and made into a tourist attraction--in no small part because of the many fans of Roberts's romance fiction. The centerpiece of the Roberts family empire is Turn the Page Bookstore, owned by Roberts's husband, Bruce Wilder. Other Roberts family businesses: Inn Boonsboro, a restored B&B that is the setting and star of her Inn Boonsboro trilogy whose first volume is The Next Always; her son's restaurants; and Fit in Boonsboro, a gym she built last year. "All of our businesses have just kind of happened," Wilder told the paper. "In our position monetarily, you can invest whatever with your financial adviser, and you really never see it. That's all good. But we want to see stuff." Boonsboro mayor Charles "Skip" Kauffman Jr. expressed deep appreciation, saying, "Without Nora, our town square would be like a blight on our town. With her, it's the focal point. Her interest in our town is immeasurable. She could be doing this anywhere, but she chose Boonsboro." 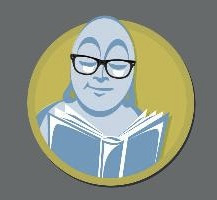 Michael Redman of City Lights Bookstore, Sylva, N.C., Joan Trygg of Red Balloon Bookshop, St. Paul, Minn., and Sam Kaas of Village Books, Bellingham, Wash., are the winners of Black Dog & Leventhal's Why My Bookstore Matters Winter Institute scholarship contest, Bookselling This Week reported. Each of the three will get a $2,500 scholarship to attend the Winter Institute in Kansas City, Mo., in February. 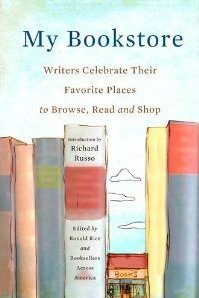 The contest is in celebration of My Bookstore: Writers Celebrate Their Favorite Places to Browse, Read, and Shop edited by Ronald Rice, just published. A major portion of the scholarship funding was generously donated by the authors who contributed to the book. Entrants in the contest were asked to express their feelings about why their bookstore matters in either 1,000 words or two minutes of video or audio. "One of the things that became clear from reading the submissions is how dedicated independent booksellers are to servicing their neighborhoods, and how much work they put into this, from outreach to local schools to hosting both in-store and off-site events almost every night of the week," Black Dog & Leventhal publisher J.P. Leventhal said. "Not only are booksellers curators of ideas, they are cornerstones of communities." Allison Hollett is joining Osprey Publishing as U.S. v-p, sales and marketing, responsible also for publicity. She has worked for the Taunton Press, Bantam Doubleday Dell, Arcade Publishing and Little, Brown. Hollett replaces John Tintera, who will now oversee the U.S. sales and publicity for Osprey Group's recent acquisition, Watkins Publishing. "The Osprey brand is already established within the military history enthusiast community, and there is room for expansion outside of this primary demographic," Hollett commented. "Osprey have already expanded into producing table-top gaming products, a strong digital program, and are now looking to apply the Osprey style and format to new sub-genres." Osprey Publishing managing director Richard Sullivan said, "The North American market is becoming increasingly important to Osprey, and with our expanded U.S. sales and marketing team in place we are confident that we can achieve the brand penetration that we are aiming for over the next couple of years." Osprey is distributed in North America by Random House. Vegan Eats World: 300 International Recipes for Savoring the Planet by Terry Hope Romero (Da Capo Lifelong Books)--from the co-author of Veganomicon. This morning on Fox & Friends: Peter Hannaford, author of Presidential Retreats: Where the Presidents Went and Why They Went There (Threshold, $16, 9781451627145). Today on Hannity: Mark Bowden, author of The Finish: The Killing of Osama Bin Laden (Atlantic Monthly Press, $26, 9780802120342). Tomorrow on NBC's Weekend Today: Andrew Solomon, author of Far From the Tree: Parents, Children and the Search for Identity (Scribner, $37.50, 9780743236713). Tomorrow on NPR's Weekend Edition: Herman Wouk, author of The Lawgiver: A Novel (Simon & Schuster, $25.99, 9781451699388). On Sunday on Meet the Press: Doris Kearns Goodwin, author of Team of Rivals (Simon & Schuster, $21, 9781451688092). Deadline Hollywood reports that How Starbucks Saved My Life (Gotham, 2007), Michael Gates Gill's memoir of his professional and personal rebirth as a barista, has been acquired by the Weinstein Company. The memoir had originally been acquired by Universal for Gus Van Sant to direct and for Tom Hanks to star. There's a new trailer for On the Road (IFC Films), directed by Walter Salles, and starring Garrett Hedlund, Sam Riley, Kristen Stewart, Amy Adams, Tom Sturridge, Danny Morgan, Alice Braga, Elisabeth Moss, Kirsten Dunst and Viggo Mortensen. The film, based on the 1957 book by Jack Kerouac, opens December 21. The CW network has put in development Jane Whitefield, based on the Vanishing Act book series by Thomas Perry that includes Vanishing Act, Dance For The Dead, Shadow Woman, The Face Changers, Blood Money, Runner and Poison Flower. Deadline.com reported the project, which will be written by Natalie Chaidez, "centers on a quirky young woman in search of her biological parents and her own identity who runs a private investigation/'eraser' company in Portland." 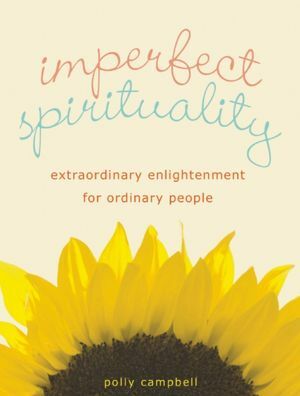 Polly Campbell, the author of Imperfect Spirituality: Extraordinary Enlightenment for Ordinary People (Viva Editions, Nov. 1, 2012), has been writing since she produced her first newspaper in the second grade. Despite early "creative differences" with the grown-ups in her life, she graduated with a degree in journalism from the University of Oregon and went to work as a newspaper reporter and magazine writer, specializing in personal development strategies and spiritual practices. She is also a popular teacher and speaker who regularly--and imperfectly--practices the principles she writes and talks about. She lives in Oregon with her husband, daughter and two cats. Loved, Loved LOVED Nancy Drew books, by the collective Carolyn Keene. How cool was she to have a boat and a roadster? Harriet the Spy by Louise Fitzhugh and Are You There God? It's Me, Margaret by Judy Blume. Ann Patchett. She does so much with her stories that they would feel crazy and unbelievable if written by someone less talented, but she can do it. The effect is magical. Stephen Carter. His stories are so much more than a mystery or suspense novel. Engaging, suspenseful, always with a powerful social commentary. Wayne Dyer. Books filled with wisdom, inspiration, perspective. John Hart. Deep characters, good story, creepy mysteries about the line between good and bad. Martha Beck, witty, accessible, wise. Always a cool blend of mystical and practical information. The Grapes of Wrath by John Steinbeck. My goodness, even now I cannot believe I haven't read it. Shhh. Don't tell. Seriously, I'm probably the only writer on the planet who hasn't read this. I'm an evangelist for reading. I think people should read everything, always. Books are meditation and inspiration and passion. They entertain and teach us how to think and feel and create. To entice people to read, I'd suggest they pick up To Kill a Mockingbird by Harper Lee, just so moving and insightful; or Harry Potter and the Philosopher's Stone by J.K. Rowling, for something fun and rollicking. Or for a gentle and practical entrée into spirituality, I also love Taking the Leap: Freeing Ourselves from Old Habits and Fears by Pema Chödrön. The Possibility of Everything by Hope Edelman. Loved the vibrant blue butterfly and the sparkly, starry things. Felt so, you know, hopeful. Turned out to be a great book. A Prayer for Owen Meany by John Irving. Not only is Owen Meany a human story about friendship and compassion and forgiveness, it is also about magical thinking and faith and love and purpose. To discover a book that tells a great story but also recognizes the import of these kinds of qualities just turned me on and helped me to know that I could write about this stuff. That it was okay to recognize the magic and mystery in life and my work. The Great Gatsby by F. Scott Fitzgerald or my fave, A Prayer for Owen Meany by John Irving. 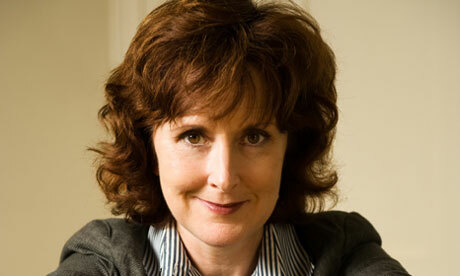 British actress, dancer and opera singer Moira Young, burst onto the YA scene with her first novel, Blood Red Road. 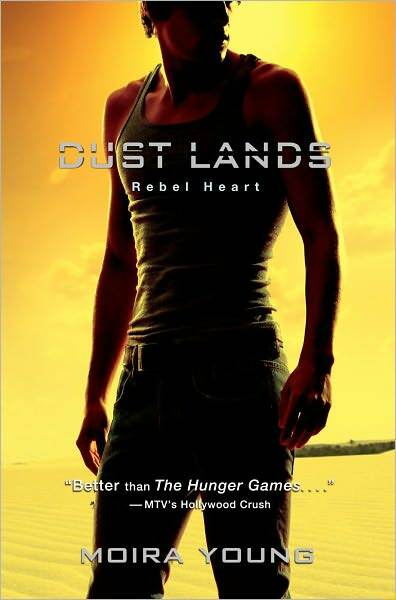 This first title in the Dust Lands trilogy takes place in a near future where, as we stated in our Top 10 Picks for 2011, "Its Mad Max–like anarchy and arid setting lay the foundation for a prickly heroine to mature." In the second episode, Rebel Heart (S&S/McElderry), Saba, who rescued her twin, Lugh, in the first book, now searches for Jack, her soulmate from Blood Red Road. What has singing opera taught you about storytelling? More than I ever imagined. I was only ever a jobbing singer and never worked for any of the big houses. Nonetheless, I had the privilege of inhabiting story on a grand scale. Opera deals with the big stuff of life, all [set] to a sublime orchestral accompaniment, with wonderful costumes and a lavish set, divided into scenes and acts. Saba's story is one of epic scale, concerned with the big, universal themes. I think of the books in the Dust Lands trilogy as acts in a three-act opera. Each fulfills a function within the storytelling arc, and each has its own very particular mood, shape and momentum. We hear echoes of the past and intimations of the future as themes are reiterated, renewed and reassembled. The other influence of opera can clearly be seen in the language of the book and also in the way the text is laid out on the page. I write in pulses and rhythms and beats and arcs, speaking aloud as I go. In this installment, the ground shifts beneath us. Like Saba, we don't know whom we can trust. Is that how you wanted us to feel? Most definitely. My aim was to unsettle everyone; the characters, the reader and me. I wanted to step aside from this part of the story on a profoundly uneasy note. We loved the new territory you travel here. The endless Waste, the lush area around the Weeping Water. And the new characters you introduce--Slim and Auriel. Did you plan your cast of characters and settings in advance? Or did they appear to you as the story needed them? The new territory and characters emerged as the story did. I always feel that, bit by bit, a story comes up into the light from the depths of my subconscious. I have to sit quietly in my boat, alone in the middle of the deep, dark lake and wait for it to come to the surface for air. As far as characters go, Slim came as a complete surprise. He just appeared one day, fully formed, driving the Cosmic in his pink dress, and I couldn't get rid of him. I also couldn't shut him up! It was quite some time before I realized what his role was in the story. He knew why he was there and he appeared at exactly the right moment. It's really very strange the way that kind of thing happens. Auriel Tai emerged more gradually. I couldn't see her properly and her character couldn't develop until I found the right name for her. I called her Penn Winterborn for a long time, but that name was far too earthbound for a star reader, and she didn't come to life. Did you plot out all three books in advance? I wish! No, I tumbled headfirst into the bottomless pit of Blood Red Road and dragged myself out of it, exhausted and battered, four years later. Then I did the same with Rebel Heart, but managed to surface rather more quickly; 19 months in that case. Blood Red Road wasn't planned in any way. It's just that I couldn't shake off this whisper of a story about a girl, at some future time, in some future place, who goes in search of her kidnapped brother. As I inched towards her voice and her story, I began to realize that it was a classic hero's journey of the sort that Joseph Campbell talks about. That gave me a clear route to follow. I'm finding that I'm having to do a great deal of planning for the final book in the trilogy. I hope that means that the writing will go more swiftly. We shall see! In both books, there's a question of whether we or the stars rule our fate. Though Lugh balks loudest at the idea of the stars ruling our fates, he seems most at fate's whim, while Saba's openness to the idea seems to allow her greater freedom to shape her own destiny. Well, it seems that every way Lugh turns, fate slams down another bar of the cage it's building around him. He was trapped at the age of nine when he--the older, stronger, more self-assured twin--took responsibility for his two sisters, himself and their father, broken by the death of his wife. Yes, of course, Lugh rages at fate, all the while denying its undoubted power. Lugh is a good person. He had the courage and empathy to take responsibility for his family, but he's limited by his view of himself as someone without power over his own life. He's captive at Silverlake, imprisoned at Freedom Fields and even when he's liberated, he remains trapped inside the bars of his own self-perception. 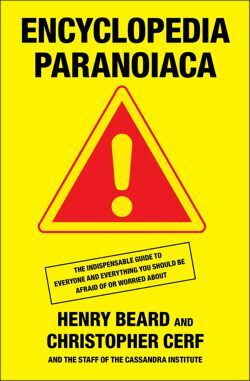 You can get the gist of Encyclopedia Paranoiaca from its extensive subtitle: "The Definitive Companion of Things You Absolutely, Positively Must Not Eat, Drink, Wear, Take, Grow, Make, Buy, Use, Do, Permit, Believe, or Let Yourself Be Exposed To... Lethal, Horrible Stuff That You Thought Was Safe, Good, or Healthy... People Who Are Out to Get, Cheat, Steal From, or Otherwise Take Advantage of You; and a Whole Host of Existential Threats and Looming Dooms." National Lampoon co-founder Henry Beard teams up with Christopher Cerf, one of the magazine's first contributing editors, to deliver an alphabetical listing of all the ways in which the world is out to get us. The entries in this encyclopedia run the gamut from spectacular natural catastrophes to hidden terrors lurking in everyday objects. For example, many Americans and Canadians might be aware of the volcanoes in the Cascade Mountains that could destroy Portland, Seattle or Vancouver at any time. (Remember Mount St. Helens?) Did you know that washing handkerchiefs and undergarments together puts you at risk of contracting harmful bacteria? You could use chlorine bleach to be safe--just mind that the fumes don't give you a pulmonary embolism. Perhaps you should use a hydrogen peroxide/water solution instead. Oh, did we mention that hydrogen peroxide vapors can spontaneously detonate at high temperatures like those in, say, a washing machine on a hot water cycle? From purses to skinny jeans, mall Santas to solar energy, Beard and Cerf present a litany of the risks we run from the second we get up in the morning to the moment we rest our heads on our pillows (which, incidentally, are filled with allergens and dust mites). Entries are accompanied by helpful symbols to indicate the type of hazard posed, be it poisonous, financially detrimental or, in the case of ceramic toilets, radioactive. Shelf Talker: A reference guide to threats both obvious (volcanoes) and obscure (purses) that will enlighten the paranoid and confident alike.